Birds at large in our homes, especially the ever-curious parrots, are at risk for burn injuries. If this happens, calm, quick and medically-appropriate action is absolutely essential if your pet is to survive. Areas burned by fire, liquid or chemicals should be flushed for 15-20 minutes with cool (not cold) water and then covered with a cool, sterile dressing. Use only medical dressings to cover the afflicted area, as the fibers from blankets, towels and other such materials may stick to the wound. If feathers or other debris have worked their way into the burn site, leave them in place…these should be attended to by a veterinarian. Grease, butter and ointments should not be used, as they cause a rise in skin temperature and increased pain. Also avoid ice, and do not puncture any blisters that form. All burns require veterinary intervention. Be sure to call your vet with your estimated arrival time – injured birds often go into shock, and time is of the essence. Transport your pet in a warm (use a hot water bottle or plastic bag filled with warm water), dark container and disturb it as little as possible on route. Electrical Shock and Burns – Your Own Safety Comes First! Electrical burns are another matter, as CPR and assisted breathing may be necessary…I’ll address this in the future. In the meanwhile, if your bird suffers an electrical shock (i.e. by biting an appliance cord), it is absolutely essential that you do not touch the bird until you are certain that it is no longer in contact with the current – no good will come from having 2 shock victims! If the bird is in contact with the electrical current, shut the power from the source (i.e. circuit breaker) or move the wire or appliance away from the bird with a non-metallic object (i.e. wood, plastic, cardboard). Burns are only one of the hazards that our avian friends may run into while under our care. 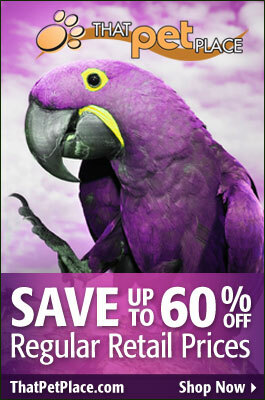 For a discussion of the leading causes of pet bird deaths, please see http://www.exoticpetvet.net/avian/topten.html.